Bagus tempatnya sesuai dengan yang kita harapkan. Lokaasi sangat strategis, sangat memudahkan kami. Pegawainya ramah, lokasinya strategis, enak banget menginap disini tidak ada masalah semuanya lancar. Pelayanannya ramah banget, kalau lokasinya sihh kemaren sempet nyasar cuman dicari - cari bisa ketemu. Planning to have an alternative place to reduce your wasted time on your way to offices caused by traffic? Or are you in the middle of business trip and seeking for a place near to multinational office and malls as well? This apartment is perfect for you! 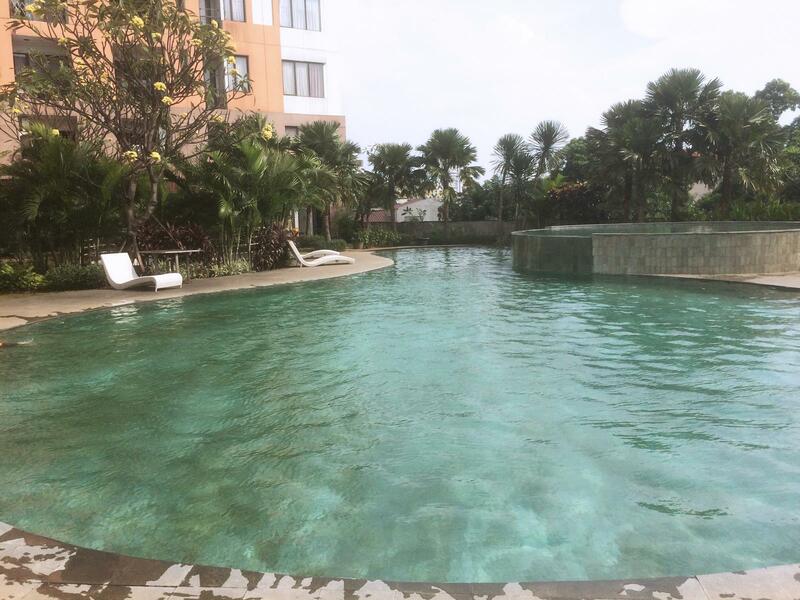 If you are a business person with a destination trip to Kuningan, Sudirman, or South Jakarta business area, you can reach all of areas within 15 minutes drive from this apartment. Home of embassies and multinational companies which take place in H.R Rasuna Said also can easily reach as well. Besides, there also selection of malls for you to enjoy during weekend. A comfortable apartment with black and white interior to make its room looks more minimalist and classy. Have a two bedroom with double bed size and super single bed. Also there is a sofa bed on living room and make the capacity up to 4 persons. 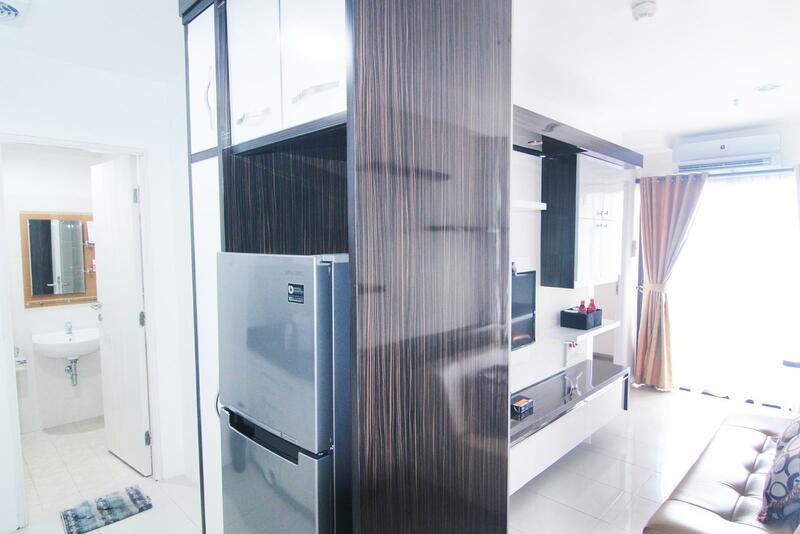 This unit has kitchen with standard cooking utensils such as rice cooker, gas stove, and electric kettle. Meaanwhile, its private bathroom also equipped with toiletries, water heater, and towels. Snacks and sweet tea available on your checked in. This apartment equipped with cable TV, free WiFi, and available for daily, weekly, and monthly rental. 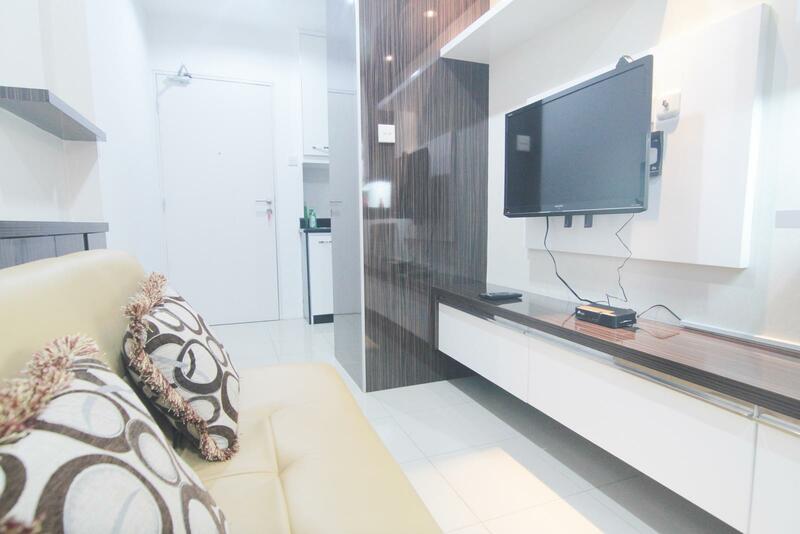 Enjoy this comortable level apartment just like homde only at 2 BR Apartment Near Kota Kasablanka (Kokas) By Travelio! 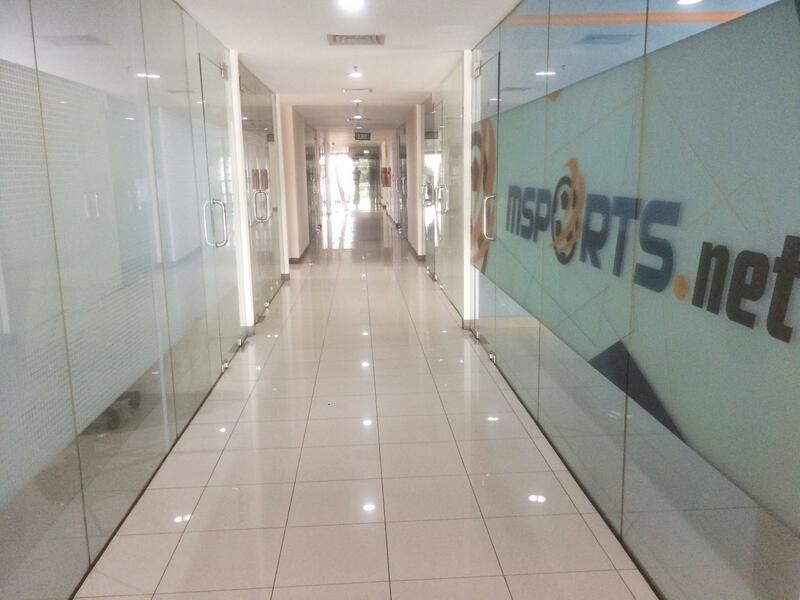 Strategically located in central activities South Jakarta. 10 minutes walk distance to Tebet-Dalam Station (950 m) and 12 minutes from Halim Perdana Kusumah Airport (7.5 km). Rasuna Epicentrum elite area and MMC hospital only 11 minutes drive (4.1 km); Home of embassies and multinational company at Jl. HR Rasuna Said only 12 minutes (4.3 km); Offices and dan hotel at Mega Kuningan can be reach by 13 minutes (4.6 km). Meanwhile, Sudirman and Menteng area can be reach by driving up to 15 minutes(7.0 km). Tebet Central Cullinary only 10 minutes walk (900 m); Kota Kasablanka Mall only within 10 minutes drive (3.8 km); Kuningan City Mall & ITC Kuningan 13 minutes (5.3 km); Lotte Shopping Avenue and CiputrArtpreneur 12 minutes (4.1 km). Another destination - National Museum only 25 minutes (11.4 km) or Planetarium Jakarta 18 minutes (6.9 km). A minimalist and fully furnished apartment. Equipped with AC and free WiFi. Two bedroom with double bed size, super single bed, and sofa bed. Wadrobe and desk for work also available. Bathroom available with water heater and toiletries. Meanwhile, private kitchen also provided with standard cooking utensils such as gas stove, rice cooker, and electric kettle. Building apartment hosts you with pool, gym, chargeable laundry, restaurant, and minimarket.